Acoustics is the new frontier of human experience. Life-Like Imaging, Wall to Wall Sweet Spots and Crystal Clear Intelligibility are the new benchmarks of our global soundscape. A unique sense of clarity is created, where every room sounds like a grassy field with an audible sense of spaciousness and open air volume. No echoes, no reverb, no muddiness, just extraordinarily clear sound in ultra-high acoustic resolution. Sound imaging so realistic, indoor spaces are indistinguishable from the natural sound of the great outdoors. 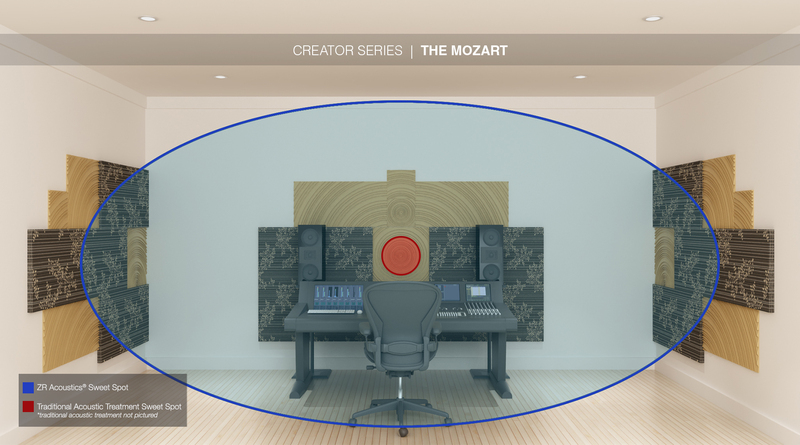 Compete control of any environment’s soundscape is the new reference standard in acoustics. 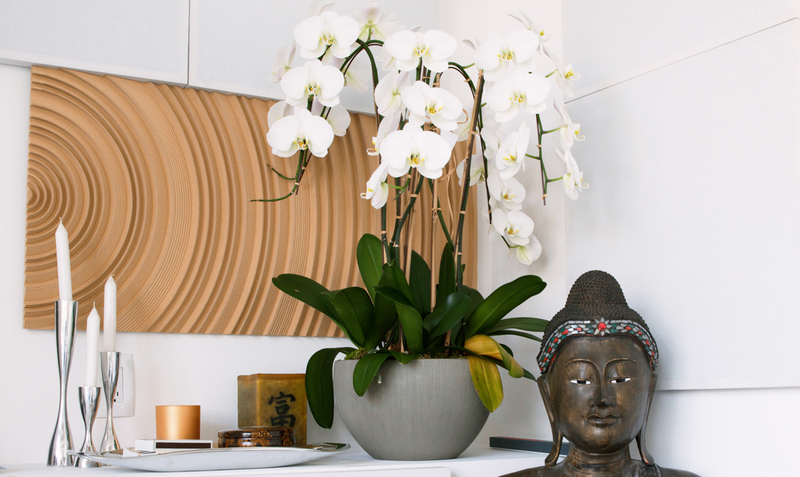 Using passive, lightweight quantum devices, this standard gives the creative freedom to make interior spaces sound natural, pleasant and organic. 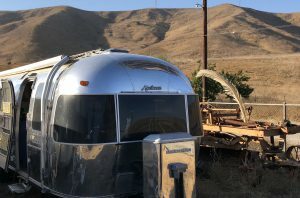 No software or electronics required. Wall and ceilings become completely inaudible. Now interior spaces can behave acoustically like exterior spaces, free of boundaries and all the negative acoustic anomalies inherently associated with them. 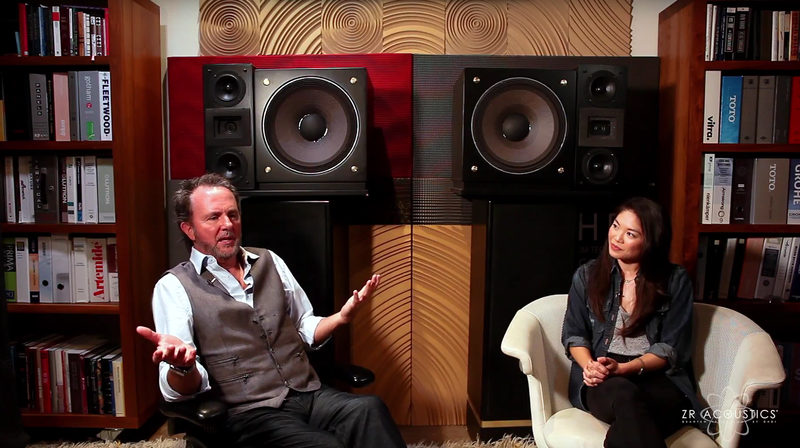 The revolutionary design paradigm responsible for creating this unique experience is ZR Acoustics®. From U2 , Cher, Kanye West and Universal Music Group to LinkedIn, Yahoo Music and Microsoft, ZR technology lives everywhere the highest level of performance in audio and acoustics are required. 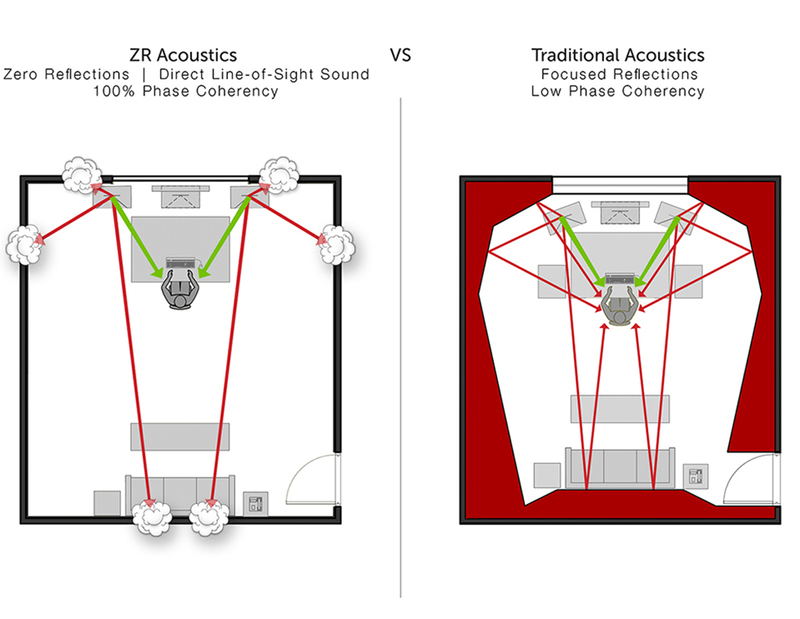 ZR is an acronym for Zero Reflections, the underlying principle of ZR Acoustics®. 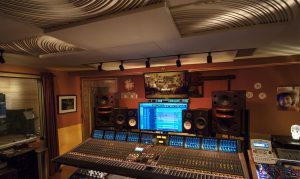 As reflections are the root of acoustical issues, with Zero Reflections, the issues simply cease to exist. Walls are made in-audible, imaging becomes life-like, and intelligibility becomes crystal clear. 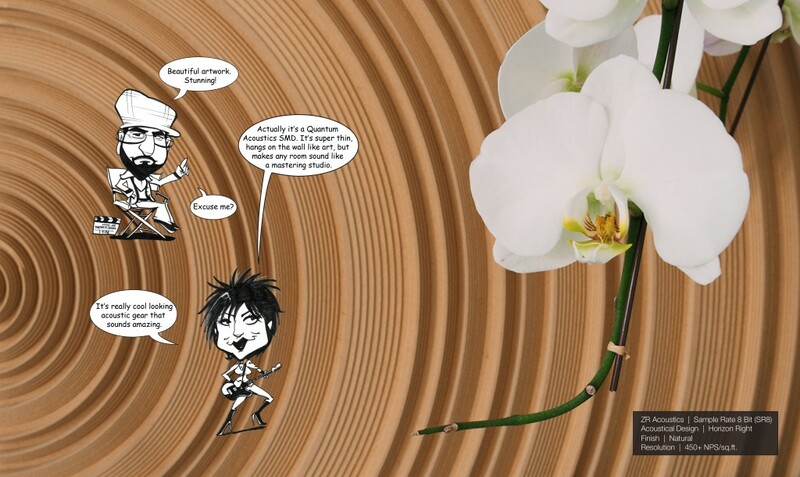 Phase accuracy and quantum physics are key elements of ZR Acoustics®. Greater phase accuracy creates better acoustical clarity. With 100% phase accuracy, only direct sound is perceived from any source, making it easier to process and understand. The concept is the same as having a conversation with one person in a quiet room versus being in a loud room with 300 hundred people talking. Quantum Acoustics™ technology in both construction and products is built into the walls of the structure and the core of the devices. 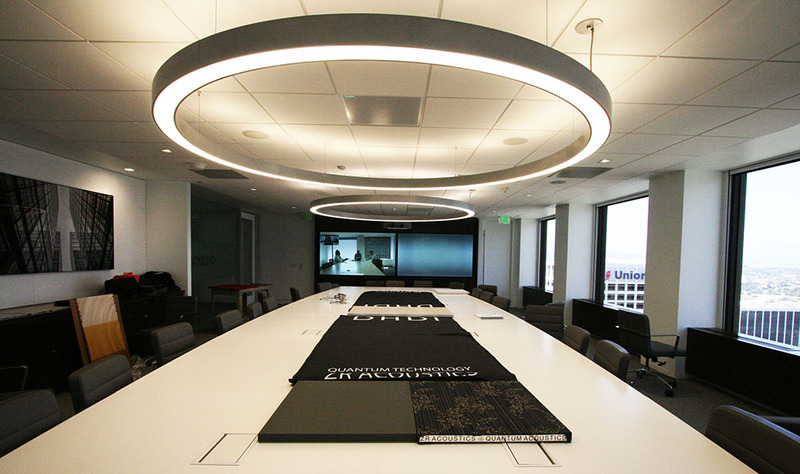 This seamless integration of acoustics, architecture and interiors gives designers far more freedom than every before. Universally applicable without any limitations, ZR Quantum Technology is applicable in any space, anywhere, in any shape or any form. 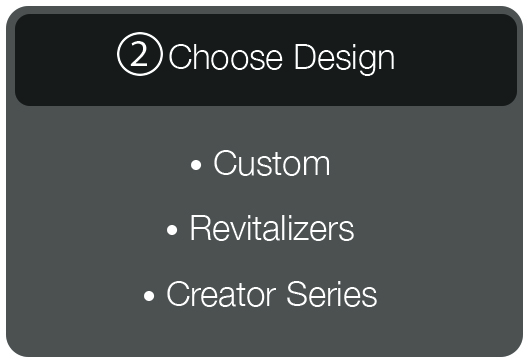 By design, ZR environments are comfortable, elegant and aesthetically pleasing. 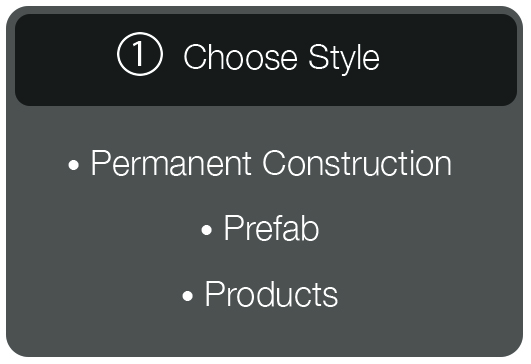 The ZR design paradigm is available in three formats: architectural design (Permanent Construction), prefabricated wall modules (Prefab) or surface mounted wall devices (SMD’s). All ZR designs and devices embody Extreme Acoustic Resolution which is at the heart of Zero Reflection Quantum Technology. Zero Reflection Technology is powered by Quantum Acoustics™, controlling air at the molecular level, rendering walls, ceilings, and all hard surfaces inaudible. It is now understood that electrons and air molecules both exhibit similar behavior in the quantum realm. Using this principle, ZR Acoustics® eradicates the most egregious acoustical issues, including poor intelligibility, resonances, reverberation, echoes, standing waves, bass building up in corners and constantly changing frequency responses with varying amplitude. 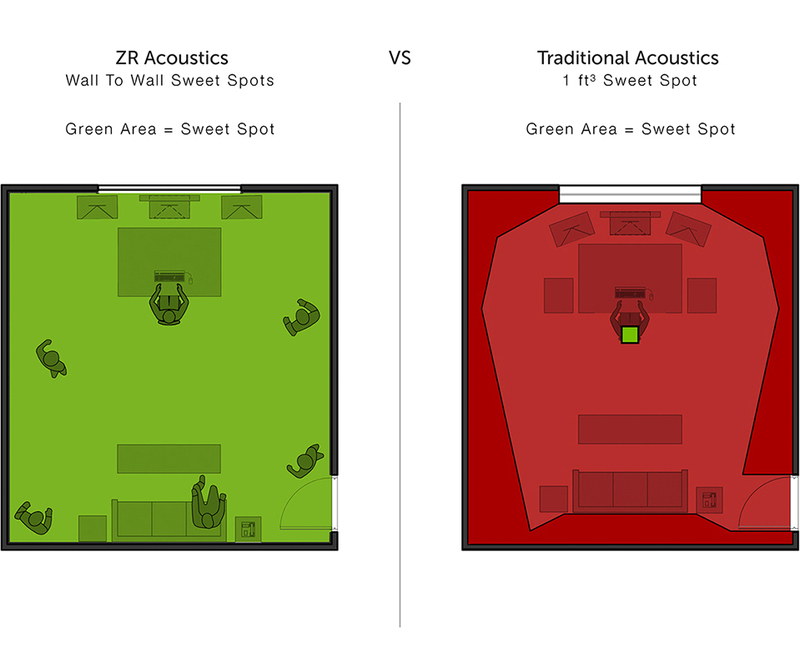 The ZR Acoustics® paradigm was designed for creativity yet based in science. Like a finely tuned instrument, ZR designs are all handcrafted using the best tools available, starting with a good ear and a deep understanding of the craft. From 3D laser scanners and AutoCad to pen and paper, designs begin with an concept of audibility: what a space will sound and feel like when the design becomes a real, physical space with walls, lights, chairs, air conditioning, pianos, tubas, people and all the complex pieces which exist in the real world. ZR Quantum Technology is universally applicable without any limitations: any size, space, shape or form. Applications for ZR are widespread across a wide variety of fields. 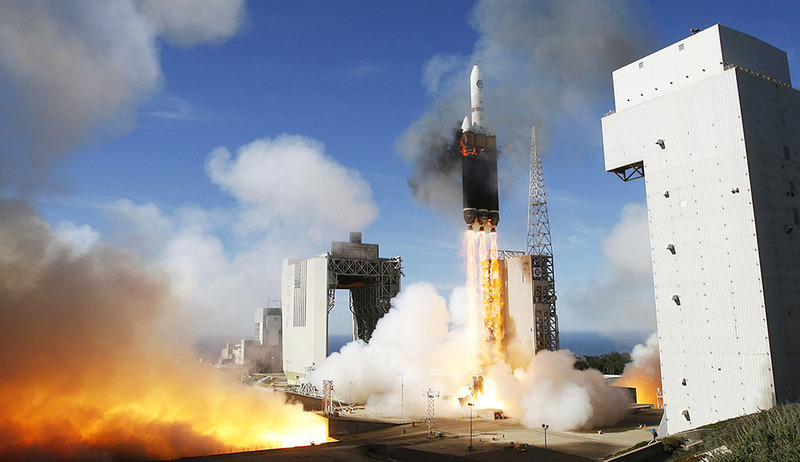 Most notably architecture, transportation, entertainment, aerospace and health. 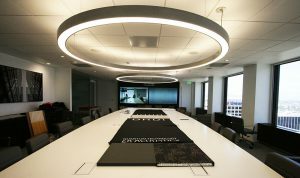 Architectural environments benefit from ZR Acoustics® in residences, offices, hotels, restaurants, spas, hospitals, senior facilities, transportation hubs and conference centers. 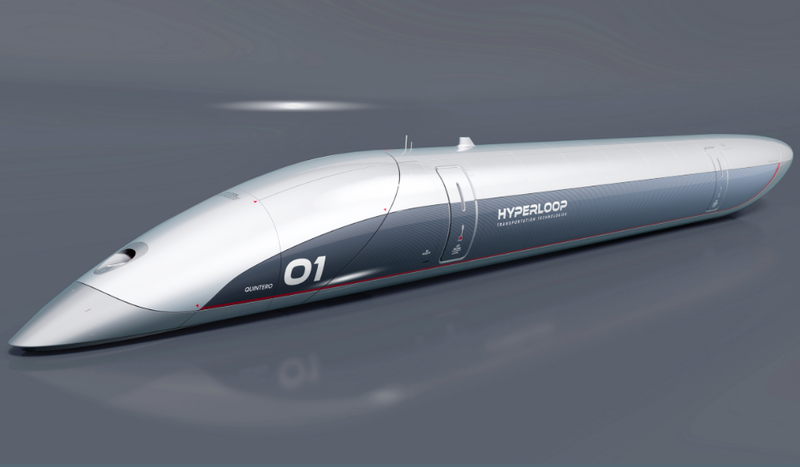 Creating environments with a sense of expansiveness is of enormous benefit to the transportation industry in automobiles, airplanes, bullet trains, buses, yachts and cruise liners. In the entertainment industry, life-like imaging has a myriad of uses including music, film, television, production, post-production, virtual reality, internet production facilities or any space used to create original content. The aerospace industry’s requirements for lighter, faster technologies with the most demanding performance criteria has a plethora of obvious applications for ZR Acoustics®, from satellites to drones and manned spacecraft. ZR environments feel spacious and expansive, like a quiet beach or grassy field. Sounds are clear and defined, even at a whisper. Physiologically, lower volumes cause less hearing fatigue which in turn lowers blood pressure and cardiovascular stress. The holistic results are healthier, more peaceful environments for people to live and work in. The human mind and body operate at higher levels of performance when exposed to less acoustical stress. 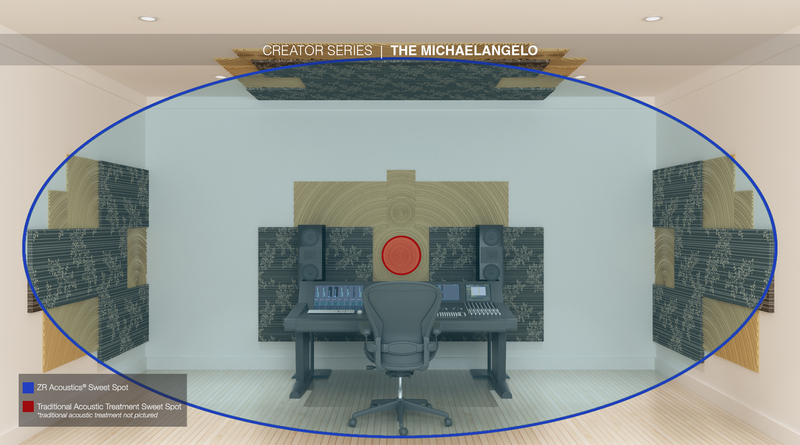 In essence, the ZR Acoustics paradigm is an acoustic cloak, making anything inaudible to the human ear or even reference quality microphones. 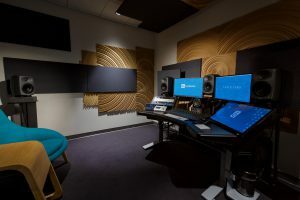 The technology to achieve the ultimate goal of every audio recording is now a reality: capturing and playing back the sound of a live performance in the real world with absolute accuracy. 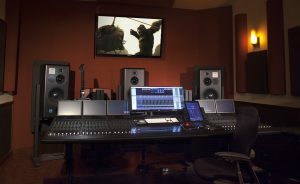 Whether it be a mix, movie, band, orchestra or home video, every detail, nuance and subtlety of how the real world sounds can now be preserved as if the moment were frozen in time. All the sounds of music, dialogue and real life captured perfectly; ready for editing, mixing and mastering. 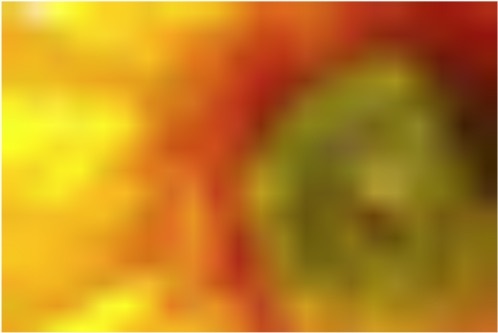 We call this Life-Like Imaging or Spherical Imaging. 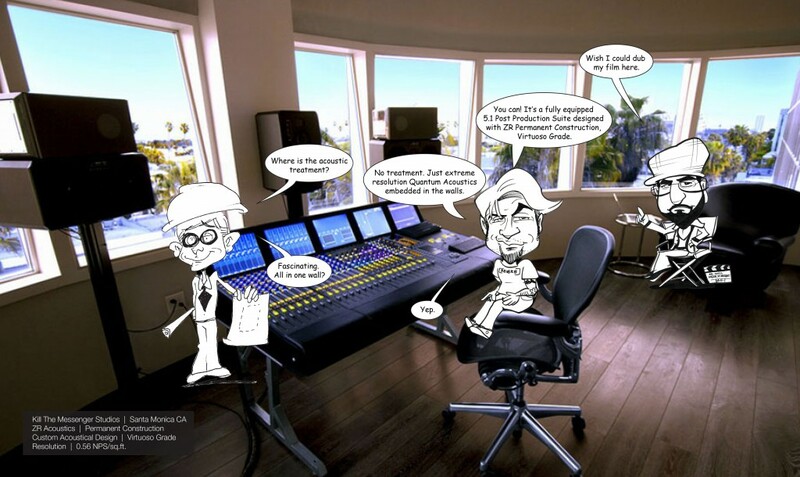 ZR Acoustics® is the technology which makes this Immersive Sound possible. ZR Acoustics® operates without the use of bass traps, electricity or power. Consequently, it uses no DSP, EQ, Plug-Ins or software. All ZR designs and devices/products are passive, relying on quantum physics, meta-materials and extreme acoustic resolution. An iconic characteristic of ZR Acoustics®, Life-Like Imaging exists everywhere in ZR spaces from wall-to-wall; front to back, side to side, standing or sitting. Natural, organic. 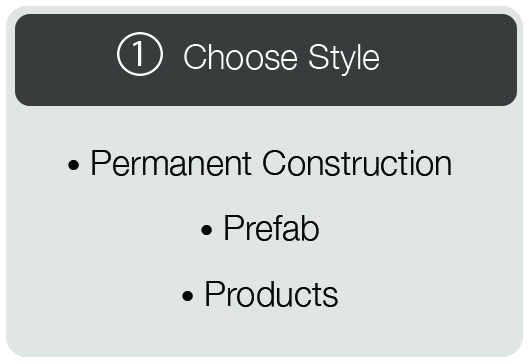 consistent Imaging regardless of position in the room is standard with ZR Permanent Construction, ZR Prefab, and ZR Products (with 100% coverage). 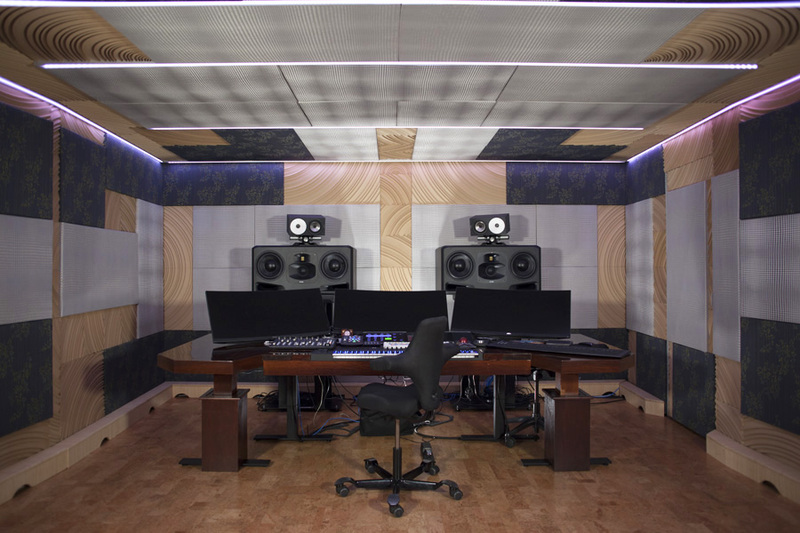 This is achieved thanks to Quantum Acoustics™ without the use of DSP, EQ or bass traps. 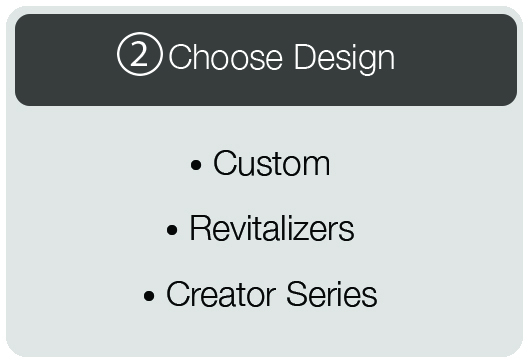 All ZR designs and devices are passive and use Zero electronics and Zero power. Acoustic Resolution is like Image Resolution. 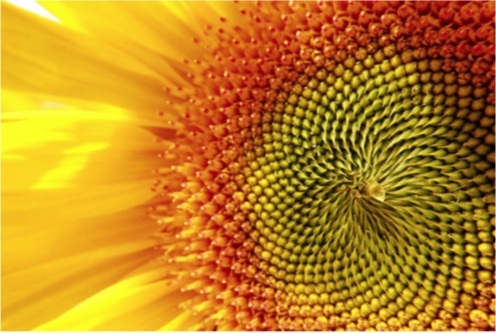 Higher resolution yields greater performance, as evidenced in Nature and revealed by Science. 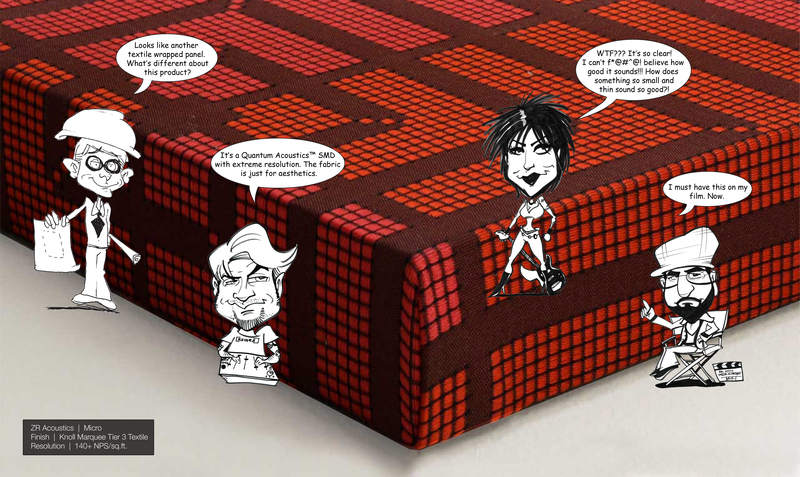 DHDI pioneered the concept that resolution in Quantum Acoustics™ is measured in Non-Parallel Surfaces per Square Foot (NPS/ft.2). It denotes the number of surfaces in a room or device which are not parallel to the plane of the surface or device at a specific, minimum angle. 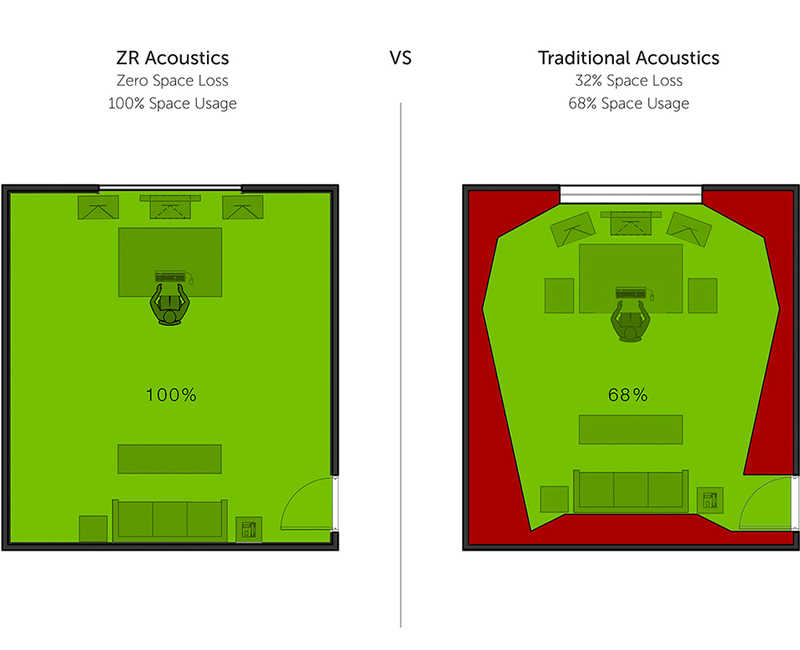 Acoustic Resolution directly effects Imaging and Performance when utilized in ZR Acoustics® designs. Related to imagery, NPS is like DPI (dots per inch). A typical traditional recording studio has on average, 12 large, non-parallel surfaces in a space with a total surface area of 1000 ft.2 (20’ x 15’ x 10’). Divide 12 non-parallel surfaces / 1000 square feet and the result is an Acoustic Resolution of 0.012 NPS/ft.2. Quantum Acoustics™ functions on a different level. 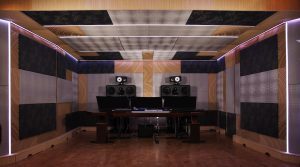 The lowest grade ZR Acoustics® studio (Permanent Construction) with 320 non-parallel surfaces and a total surface area of 572 square feet (14’ x 10’ x 9’) resulting in an Acoustic Resolution of 0.56 NPS/ft.2 (320 non-parallel surfaces / 572 square feet). With ZR devices at 100% coverage, resolution can be 450 NPS/ft.2 with SR24+’s and even as high as over 9200 NPS/ft.2 with ZR Nano devices. Higher resolution means higher performance, higher performance means Life-Like Imaging, Wall to Wall Sweet Spots and Extraordinary Clarity. Higher Phase Coherency creates Life-Like Imaging with extraordinary clarity and ultra-high acoustic definition. The ZR Acoustics® design paradigm begins with the premise that direct, line-of-sight sound without any reflections result in 100% Phase Accuracy. To achieve this high level of Phase Coherency, ZR must be applied strategically according to precisely crafted designs. When sound comes into contact with a ZR wall or device, the sound does not return. ZR quantizes the air molecules, forcing them to behave as individual particles and not waves, consequently removing sound energy and increasing phase coherency. 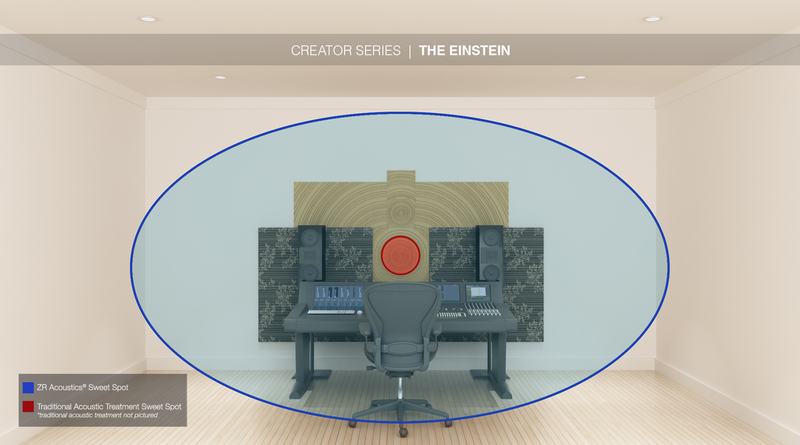 Any space of any shape or size can have Life-Like Imaging and produce world class recordings with mastering quality acoustics with the application of the ZR design paradigm powered by Quantum Acoustics™. Quantum Acoustics™ is quantum physics applied to air molecules, and consequently has a dramatic and profound effect on sound energy and the propagation, perception and cognition of sound. Examples of effects include broadband control of audible sound in ultra-thin 1″ devices, dramatically increased intelligibility, immersive spherical imaging and acoustic cloaking. …is that specific characteristics of quantum acoustics are repeatable, reproducible and perceivable in both the laboratory and the real world. The cause and effect between these characteristics and applied quantum physics is dramatic, clear and obvious. It appears that acoustics follows the same rules which have governed electronics for over 100 years: resolution, geometry and mathematics far outweigh the effectiveness of mass and density. Traditional acoustics based in classical mechanical physics have no explanation for how these traits can exist, despite constant, repeatable and reproducible behaviors. For example, how long wavelengths of sound can be controlled with a flexible, 1″ thick acoustical device. (ZR Micro Screen) To find answers, DHDI consulted with the experts. 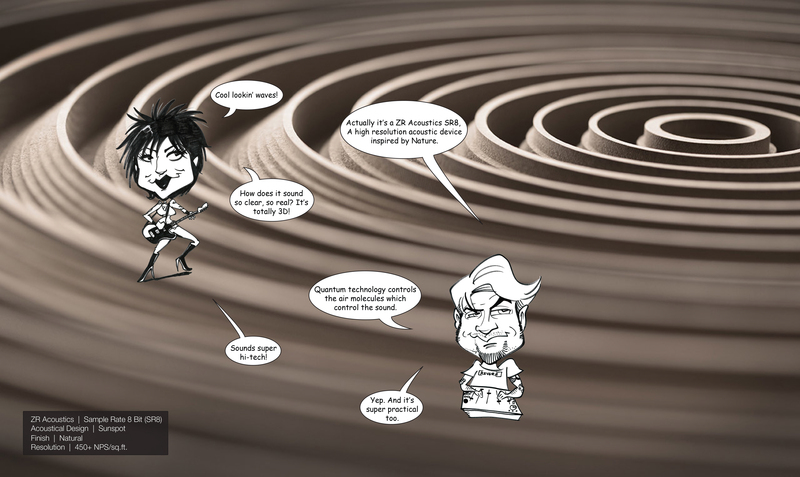 They are all leaders in the field of applied and theoretical physics and strangers to each other. Each one was given identical copies of laboratory test data performed by an independent third party testing lab. Independently, they were all given a listening demonstration of ZR Acoustics® . 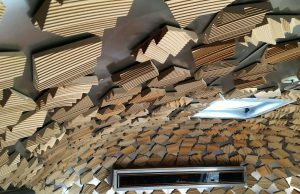 After reviewing the test data and experiencing ZR in person, they were all asked a simple question: how do you explain this type of acoustical behavior? Nearly a year later, every physicist responded within a week of each other with identical remarks: “these phenomena are not explicable by classical mechanical means but only by quantum acoustics”. The role of cutting edge research is to constantly bridge the gap between theoretical ideas and the real world. Recent experiments show that quantum physics applies to even biological cells which are the size of planets compared to electrons. As physicists continue to unveil the underlying secrets of how these widespread phenomena occur, the potential applications are limitless: acoustics, biology, teleportation, health, architecture, and many more. Recent experiments in quantum physics show that behavior which was previously limited to sub-atomic particles is actually widely applicable in other areas. For instance, several areas of biology such as smell, photosynthesis and bird migration are now proven to be governed by the rules of quantum physics. (see references below) This gives us a better understanding that if quantum physics can effect such complex and large things as biological cells, it can also effect smaller, simpler molecules such as air which are somewhere between the size of an electron and a biological cell. The ZR paradigm is embedded with higher order mathematics, complex topologies, and Extreme Acoustic Resolution to achieve quantum behavior. Quantum Physics and wave particle duality were proven to be a reality in the early 1900’s. It is the basis for the entire Era of Electronics. The concept is that until they are observed, electrons can behave as waves, as individual particles or as both at the same time. ZR Acoustics® creates the proper environment to control the behavior of Air molecules, forcing them to change from wave fashion to individual particle fashion. When Air molecules behave as individual particles (i.e. no wave behavior), sound energy has no medium to ride upon. Like a radio signal without a carrier wave, the sound simply ceases to exist. In conjunction with precise designs, this effect dramatically increases Phase Coherence, consequently improving both imaging and spaciousness. 60 second video explaining Wave Particle Duality by minutephysics. …is the minutia and underlying reasons for every detail of how quantum mechanics effects air molecules. How does quantum physics achieve such dramatic and unusual control of particles, cells and objects larger than an atom? Until recently, quantum mechanical behavior was understood to be limited to sub atomic particles such as the electron, the proton and the neutron. In practice, quantum acoustics is very much like electronics in the early 1900’s: designers, engineers and technicians were building electronic devices every day with repeatable, reproducible results while Einstein, Planck and Bohr were debating the inner workings of the universe via theoretical quantum physics. Quantum Acoustics’ effects and performance are repeatable and reproducible every day, while physicists continue to discuss the theoretical concepts of dark matter and the theories of a quantum universe. April 2018, Duke University’s Pratt Engineering School publishes “Thin Engineered Material Perfectly Redirects and Reflects Sound“. In September of 2017, Science magazine publishes “Quantum Acoustics with supercomputing qubits“. Quantum Entanglement breaks speed records for teleportation in Nature Communication’s article titled “Experimental test of photonic entanglement in accelerated reference frames“. Quantum Acoustics is connected with acoustidynamics and surface acoustic waves in this 2017 article in Nature Magazine. “Circuit quantum acoustodynamics with surface acoustic waves“. Cornell University’s Library presents Patricio Arrangoiz-Arriola’s paper on “Prospects for quantum acoustics with phononic crystal devices“. Peter Hore of Oxford University discusses the European Robin’s ability to use quantum entanglement in their navigational abilities during migration. In 2016, The Institute of Physics publishes the article “Birds measure magnetic fields using long-lived quantum coherence” on how birds uses cryptochromes, chemistry and quantum mechanics to exactly find their way during migrations from year to year, generation to generation. The age old question of photosynthesis turns out to be rooted in quantum physics. 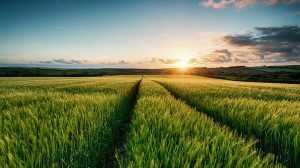 In 2007 Scientific American writes “When It Comes to Photosynthesis, Plants Perform Quantum Computation“. Nature magazine publishes an abstract entitled “Quantum coherence in photosynthesis for efficient solar-energy conversion“. In March of 2013 Physicist Aaron O’Connell created a “Quantum Microphone” clearly showing that quantum mechanical behavior exists even at a molecular level. In January of 2013 Jim Al-Khalili, Professor of Theoretical Physics at the University of Surrey, presented Quantum Biology at The Royal Institution citing biological studies dating back as far as 1972. Acoustic Quanta published by the University of Durham’s school of engineering in conjunction with the school of music. Dr. Gabor’s cutting edge “Theory of Communication” discusses the Quanta of Acoustics and human hearing in November 1944. ZR Permanent Construction creates Purpose Built ZR spaces with revolutionary single wall construction only 6 – 3/8″ thick. They are part of the structure; immoveable and permanent. Isolation and Acoustic Signature in one Single Wall Membrane. ZR SMD’s (surface mounted devices) are concentrated, minaturized, versions of ZR Permanent Construction. High resolution Quantum Acoustics™ technology enables quantization of audible frequencies with ultra-thin devices as thin as 3/4″. A variety of shapes and sizes allow for any space to become a ZR Studio with the application of a CDL. Classic | The Original ZR Design Paradigm | created during the late great Mike Shipley’s private studio project. Plus | Classic grade with additional finesse and polish | increased imaging with smoother more natural, organic sound. Virtuoso | Expert Musicality and Perfect Technique with a Quantum Acoustics™ infrastructure. Custom Design Layouts are the design paradigm by which we most accurately apply ZR SMD’s for best performance. Each CDL is designed to meet the particular applications of the space and type of usage. 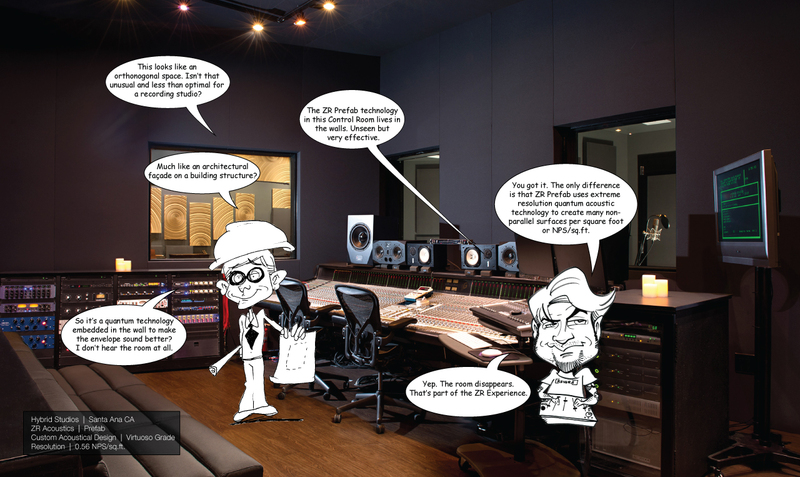 They utilize the entire ensemble of ZR Products to achieve the Iconic ZR Experience including Life-Like Acoustical Imaging. 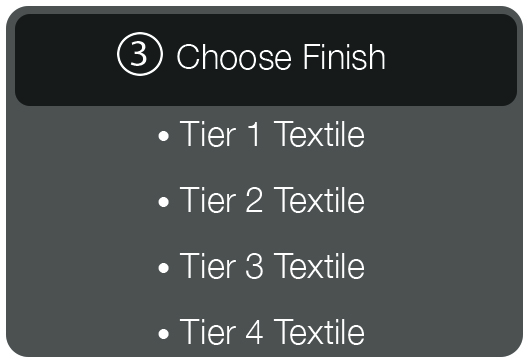 ZR Packages are Pre-Designed CDL’s scaled incrementally for both performance and value. Sampler packages begin with just two SMD’s while packages range from Front Wall Systems to Entire Room Systems. CDL’s are included gratis in the cost of ZR Packages, making them the best value. 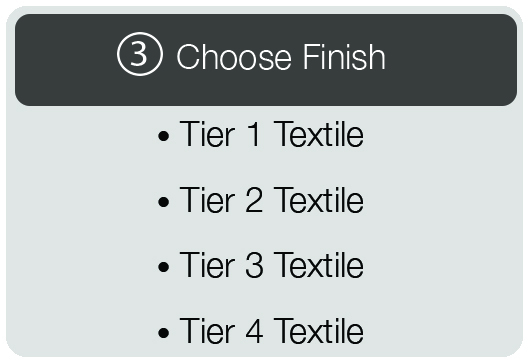 • Tier 2, 3 & 4 Textiles not included in the Base Price of all Cloth Covered Products. Upcharge Applies.